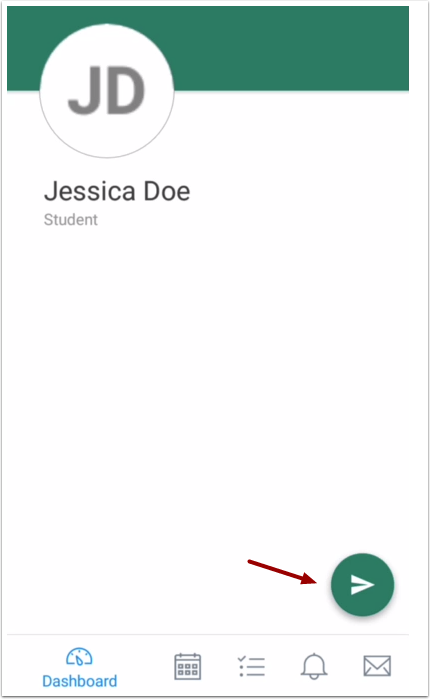 How do I view People in the Student app on my Android device? Canvas lets you access People from your mobile device. Note: The Course Navigation menu matches the browser version of your Canvas course. 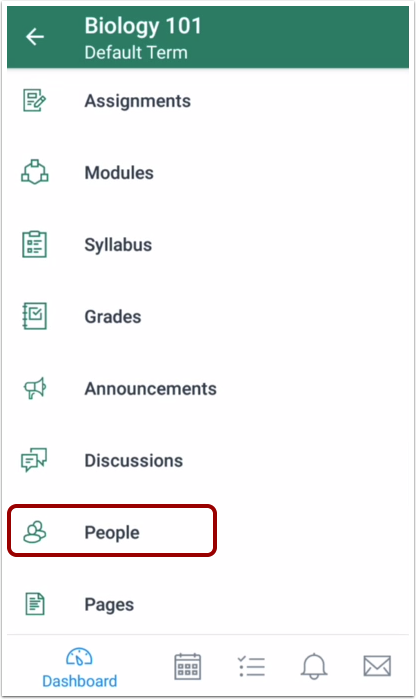 If People is not available in your Course Navigation, it will also be hidden from view in the app. 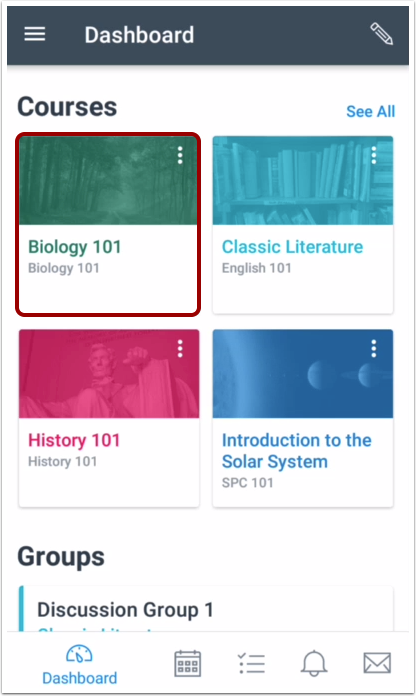 Note: You may need to swipe your screen to view People in the Course Navigation menu. View the users enrolled in your course. To view details about a user, tap the user's name. View details about the user, if any. You can send a message to the user by tapping the Message icon. 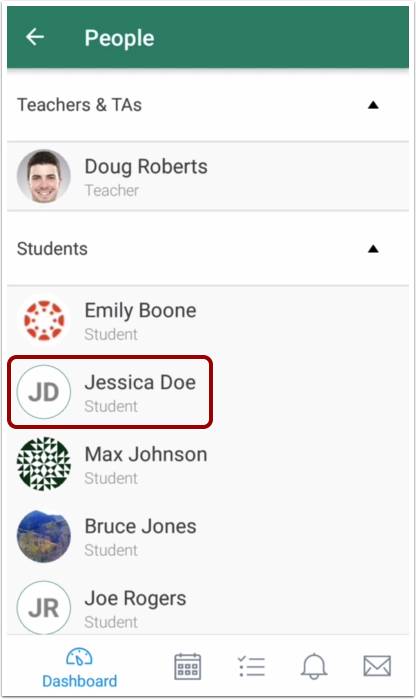 Previous Topic:How do I view Pages in the Student app on my Android device? Next Topic:How do I take a quiz in the Student app on my Android device? 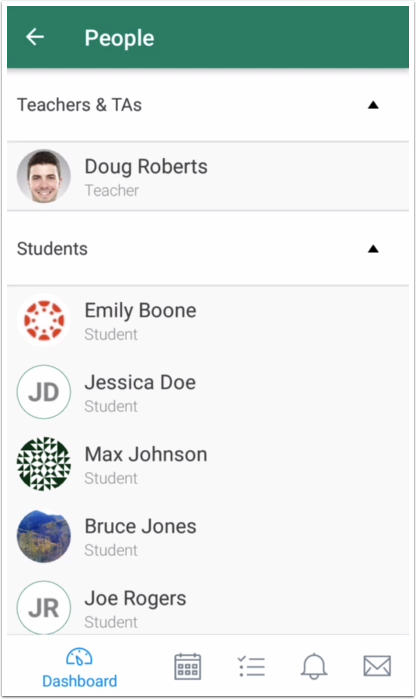 Table of Contents > Course Features > How do I view People in the Student app on my Android device?